This cute elephant lovie pattern is made of 5 parts and each one of them is beautiful and entertaining. 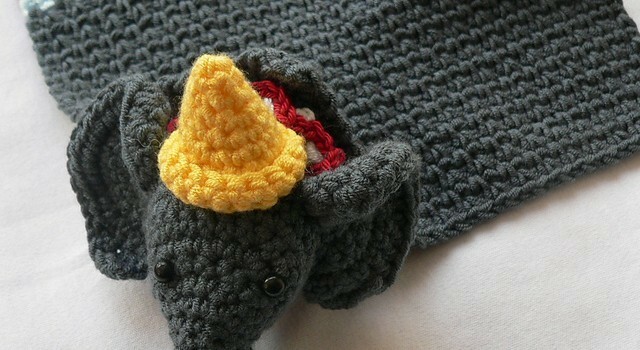 The elephant head with those large ears and the cute tiny amigurumi hat is a cute and tiny little animal toy inspired by Dumbo the Flying Elephant. 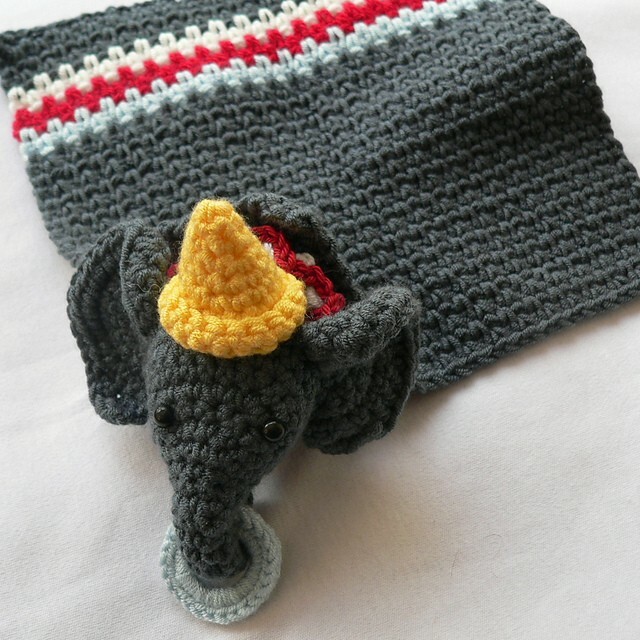 Edward: Circus Elephant Lovie by Dedri Uys is a quick and fun project which looks pretty impressive once put together. Thanks to Dedri for the article inspiration and featured image. [Free Pattern] This Wavy Blanket Is An Awesome Stash-Buster!